Taipei finally has a train between the city and Taoyuan Taipei airport. It opened on March 2, 2017 and they have introductory fares of 50% off until April 1, 2017. There are two types of trains, the express or commuter train. The express train takes 38 minutes while the commuter takes 70, so you never want to take the commuter train. The express train runs from 6am – 11pm, roughly every 15 minutes. I’m sure they’ll adjust the timetable based on demand in the future, but here’s the times currently. Following HK Airport Express, they also have in-town check-in for a few homegrown airlines, details below. There are stops at both Airport Terminal 1 and 2. The route passes through a bunch of commuter stations as well. Most visitors will go between Taipei Main and the airport. Note, unless your destination is near Taipei Main, it may be easier to take the bus still, and cheaper. The fare is 160NTD ($40HK) each way to Taipei Main, but until Apr 1, 2017 this will be 80NT. Still much cheaper than HK’s airport express. The trains themselves I’m sure will be nice and new, pics look decent, nothing too fancy. You can pay by cash or use Easycard. There’s no price difference so for tourists, might be easier to just stick with the single journey ticket. 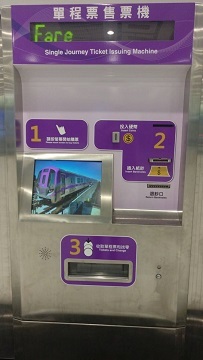 Ticketing machine with touch-screen sells single-journey ticket and contactless smart card. Please follow the steps adhered on it to purchase ticket or referring to the following below. Information counter sells all kinds of tickets. Select the destination and the number of tickets. Pick up the single-journey tickets and change. Add Value：Place card and input value. Card Vending：Choose card and input cash. Pick up the card or receipt. Touch contactless smart card or single-journey ticket on gate sensor to enter paid area when the gate opens. Contactless smart card users touch the card on gate sensor to leave paid area when the gate opens and single-journey ticket users touch the ticket on gate sensor then put into retrieving hole to leave paid area when the gate opens. Other tickets’ users may ask staff in the information counter to open the barrier-free gate. 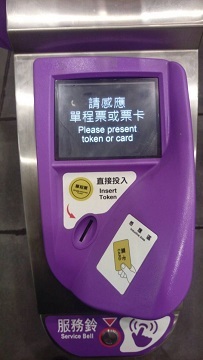 Touch contactless smart card or single-journey ticket on gate sensor. Enter paid area when the gate opens. 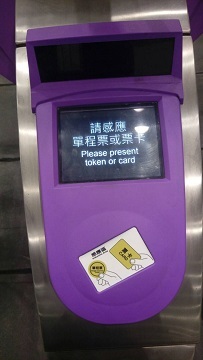 Contactless smart card users touch the card on gate sensor to leave paid area. Single-journey ticket users touch the ticket on gate sensor then put into retrieving hole to leave paid area. 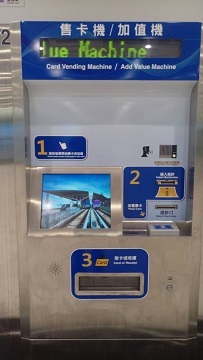 Tickets / Card Vending Service：Single-journey tickets, EasyCard, iPass and Group ticket are available. Value Added Service ：EasyCard, iPass are available. Other ticket types please contact PAO staff. There aren’t too many details on the official webpage. It’s quite convenient! Before taking MRT to airport, I used lalalocker to drop my bags n suitcases in a hostel in Ximen and I could stroll there. 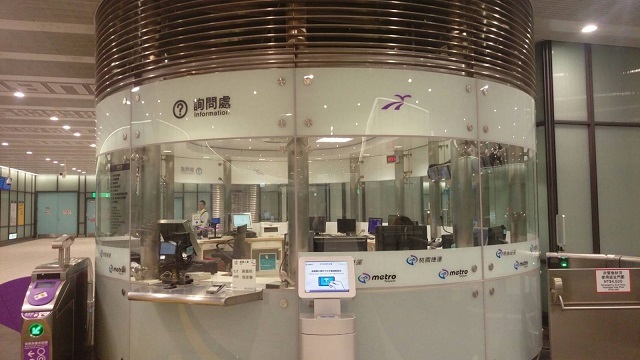 BTW, u can also check in at the reception of TPE airport MRT of taipei main station. Very convenient!